A flowing sequence of yoga postures linked with deep breathing. "Kundalini" refers to the life force energy that resides within each human being. Kundalini Yoga, as taught by Yogi Bhajan, Ph.D., consists of postures, special breathing, hand and finger positions (mudra), chanting and meditation in a specific sequence to clear the energy channels and prepare the body and mind to manifest one's awareness of his or her life force. Regardless of your physical abilities or prior yoga practice, you can experience rapid results through the practice of Kundalini Yoga. Third Coast Yoga Hatha Level I Teacher Training offers you important material to embellish your teaching toolbox through the elevating experience of yoga: transformation and union. TCYTT is open to students or teachers of any school of yoga and those who are seeking to deepen their own yogic experience. It is a 200-hour course taught over 18 Saturdays from September through May. Yoga Therapy is valuable for those with specific stress-related conditions of dis-ease or anyone seeking vitality and peace of mind. Yoga therapists serve as guides or mentors for individuals (or groups) in their journeys of healing and self-discovery by facilitating students' awareness of prana—the life force—within themselves. Meditation is a place of stillness, balance and connection, and opens us to our inner resources for healing. Guided Imagery and Yoga Nidra are specific techniques for moving deeply into meditation. Teacher Training: See Registration & Application for info. Workshops: Call for appointment & rates. Individual Yoga Session: Call for appointment & rates. 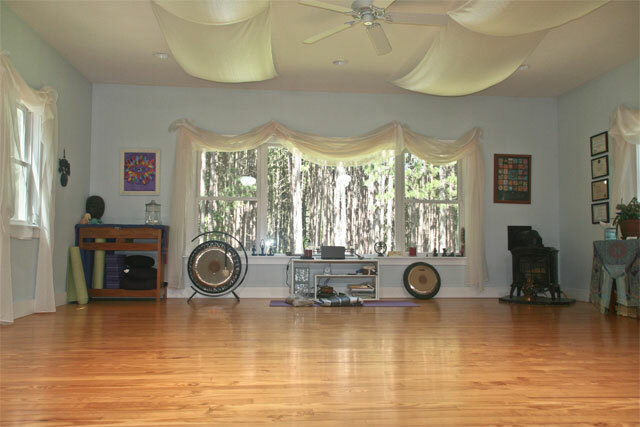 See Kundalini Session Format for additional session information.